Why pay More for a Small house? Entertaining Made Easy. Owners Suite Main Floor. All counters are Granite. Wide Plank Floors.Trey, Coffered, Cathedral Ceilings. Finished Walk Out Basement. Extra Large Kitchen Island. GAS Cooktop. DOUBLE OVEN. Lots of kitchen cabinets. Back Staircase to Private Bedroom with Separate Sitting Area. Large Closets. Finished Walkout Basement: Plumbed for Second Kitchen. 19 x 18 Large Bedroom. Full Bath, Den Area, Bonus Rooms for Rec Room, Sewing, Crafts. Study, Music, Gaming, Home Theater, Home Business, Mother-in-Law, Teenagers, Renting. 3 Separate Walk In Storage Areas. Screened in Porch, Deck, Patio, Private Nature Preserve Walking Trail Behind Home. 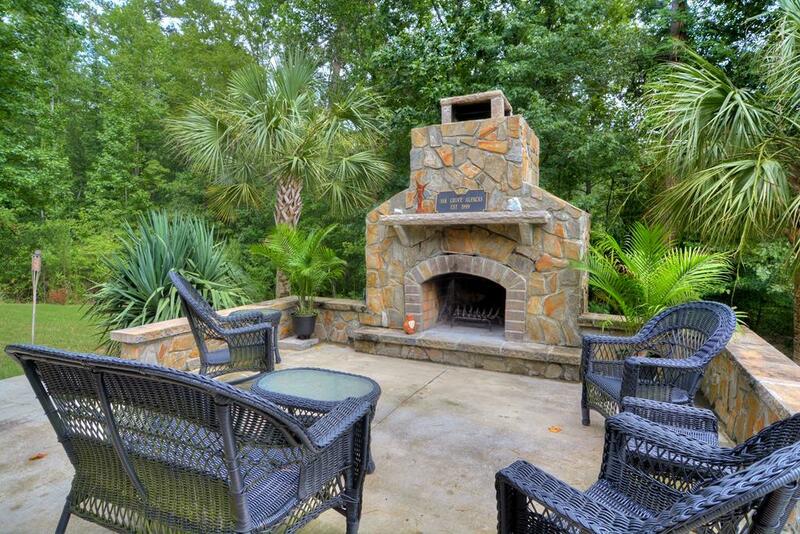 Summer Cookouts and Warm Southern Winters in front of the Custom Outdoor Fireplace. R60 Insulation. Tons of Storage Everywhere. Avg Electric 100-150, Gas 150-250. Elbow room waiting for distinctive owners who do not want to feel cramped into a home. Listing provided courtesy of Gregory Martin of Era Sunrise Realty.